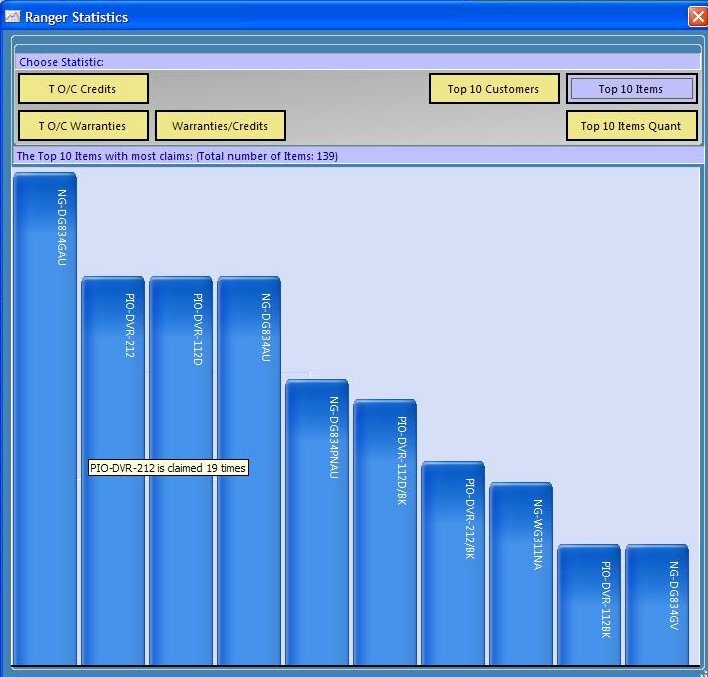 Ranger features several different types of Charts. (if you can think of any more different types, let me know!). Above we searched for the Top 10 items that have been claimed in the database. If you hover the mouse over a bar (in this case, the PIO-DVR-212), it will show you the amount of times it has been claimed. These charts are useful to find out abstract information, like what the most claimed items are, or the Top 10 Customers who claim the most.